As Parish Assistant, Corinne watches over the pastoral care of the congregation. Corinne has worked with the pastoral staff since 2000. 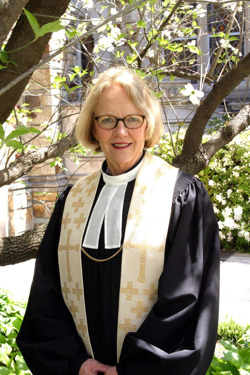 Prior to joining Idlewild, Corinne earned her Master's of Arts in Religion at Memphis Theological Seminary; before that she taught upper school mathematics at Hutchison. Outside the church, Corinne loves reading, hiking and walking (at least two miles each day), photography, knitting, and keeping up with the large blended family of ten children and fourteen grandchildren she shares with her husband Art. Corinne can be reached at corinne@idlewildchurch.org.